An orderly warehouse is a profitable warehouse. Picking operations, whether run from your garage business or a multi-location operation, are the lifeblood of your business. With less traditional businesses taking up brick and mortar retail spaces, and more organizations opting to sell only online, a logically laid-out warehouse can lessen cost and bolster the bottom line. Re-assess your process and warehouse configurations for efficient order picking and shipping. Prioritize your products – It isn’t likely that your most popular products will remain so from season to season. By bringing trending items to the more accessible shelving helps you ensure against lost man hours (and we all know that lost time is lost money). Implement a slotting process that is dynamic, changing where and when needed. Analyze the processes – If needed, hire a consultant that can help your organization with optimizing your order picking methods. Whether you use batch or zone picking, a single picker, multi-orders or single, re-evaluating the process is likely to show you some money-draining holes that can be covered. Take the recommendations from staff seriously as they are in the job on a daily basis and know the frustrations better than anybody. Use big data and software to fully optimize shelving space – Knowing which products are most likely to be ordered together or what colors, styles or textures are trending can help you determine product spacing, saving travel time for pickers. Reduce shipping options – Having multiple sizes of shipping containers and boxes seems to make sense on the surface but too many choices slows down the process. Offer pickers an easier way to pack orders with just a few options. It will limit time spent searching, reduce freight and container expenses for the entire warehouse. 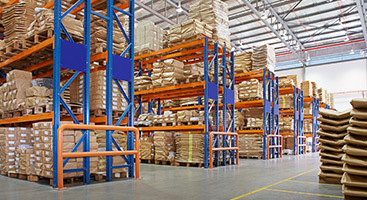 By offering Chicago-area businesses the very best in warehouse design and layout, and equipping them with the highest-quality metal shelving and pallet racking, the team at Felix Loeb has built a reputation for being the best in the warehouse furnishings industry. Find your best warehouse options by calling our consulting team at 877-215-3367. We welcome the opportunity to provide a customized project quote for any size warehouse and material handling need.